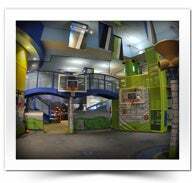 STUFF’s Magic Castle is a play area for kids over 2 years old and under 48” located on the Promenade Level (Level 5) in the southwest corner of the building. Take pictures with STUFF pregame, or visit during the game so the kids can climb through STUFF's castle, play a game of STUFF (our version of HORSE), shoot baskets or test their memory skills by playing the match game. There is always something to do in STUFF’s Magic Castle. Located on the east side of the Terrace Level, the Nutrilite Magic Fan Experience from Amway is an interactive area that features a journey through the players and moments that bring the history of the Magic to life. Biographies, timelines and personal narratives take you through Magical moments of our storied past. Nutrilite is the world's leading brand of vitamin, mineral and dietary supplements. With optimal health at the heart of the Nutrilite brand, the Nutrilite Magic Fan Experience offers a Life Age Calculator and an interactive simulation basketball game that allows the fan to become part of the game action. 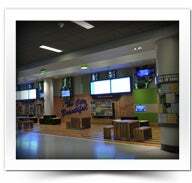 Located on the West Terrace Level, Orlando on Demand is the place for Amway Center visitors to learn about what’s going on in Orlando and the myriad of things to see and do that give the city its local flavor. 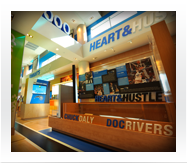 This interactive info garden will keep guests in the know about anything that’s coming up in and around Amway Center and features Orlando’s great sports legends who reside in Central Florida. 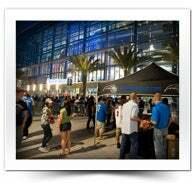 Fans are encouraged to support the team before select Orlando Magic home games at the new Orlando Magic Fan Fest at Amway Center on Church Street. Beginning two hours prior to select Orlando Magic home games, fans can enjoy live music, prizes, giveaways and interactive games. Food and beverages will be available for purchase.